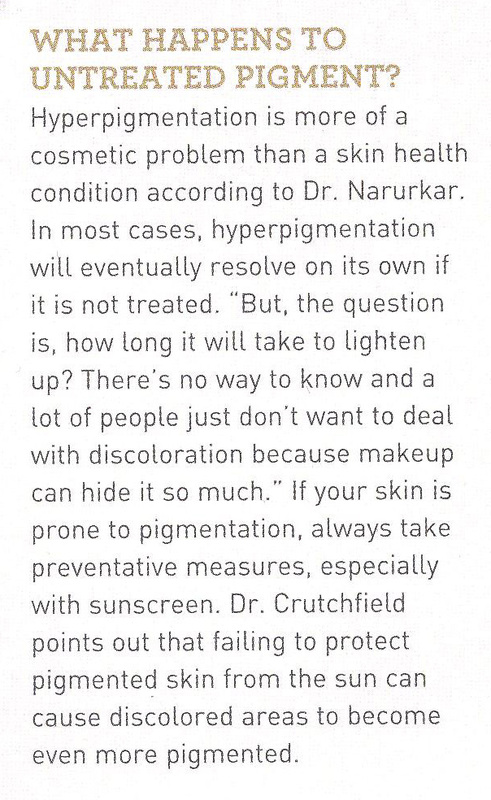 Hyperpigmentation is more of a cosmetic problem than a skin health condition according to Dr. Narukar. 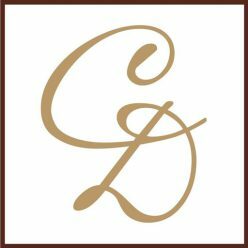 In most cases, hyperpigmentation will eventually resolve on its own if it is not treated. “But, the question is, how long it will take to lighten up? There’s no way to know and a lot of people just don’t want to deal with discoloration because makeup can hide it so much.” If you skin is prone to pigmentation, always take preventative measures, especially with sunscreen. 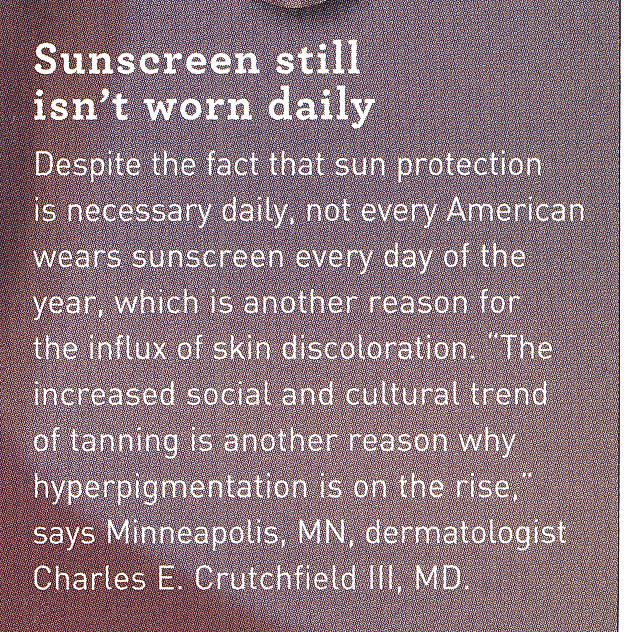 Dr. Crutchfield points out that failing to protect pigmented skin from sun can cause discolored areas to become even more pigmented. 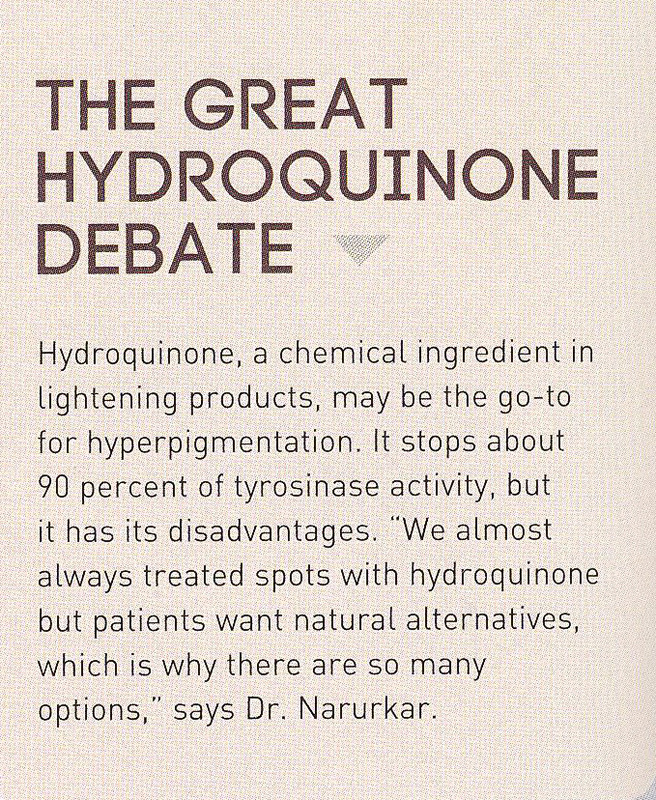 Hydroqinone, a chemical ingredient in lightening products, may be the go-to for hyperpigmentation. It stops about 90 percent of tyrosinase activity, but it has its disadvantages. 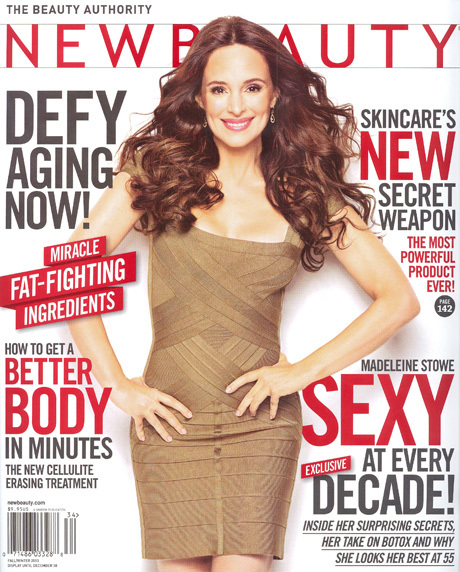 “We almost always treated spots with hydroquinone but patients want natural alternatives, which is why there are so many options,” says Dr. Narurkar.